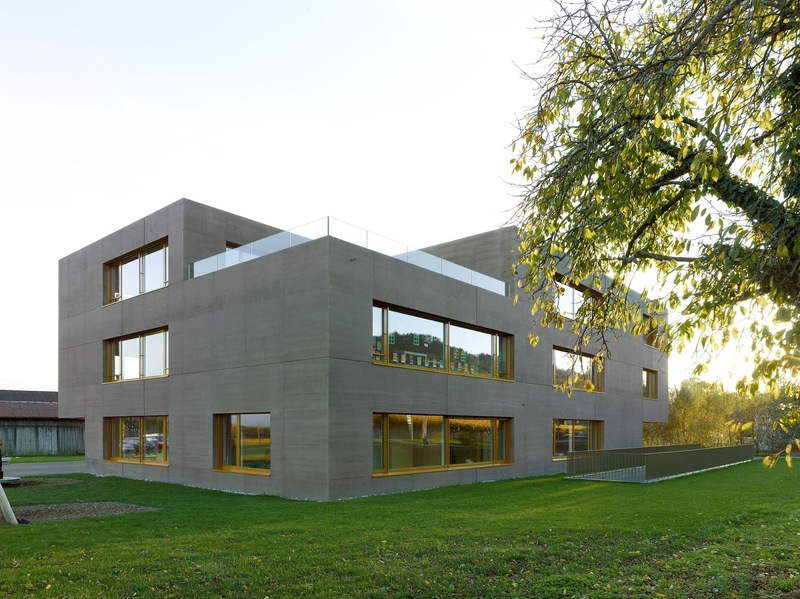 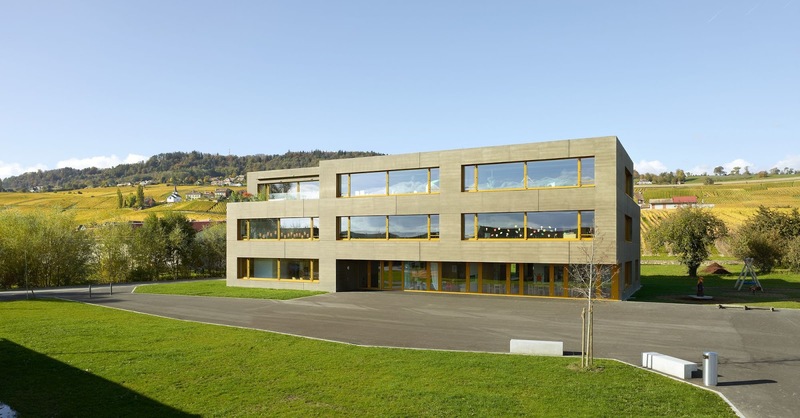 The school is built on two levels and a ground floor, on a site with a clear view of the hillside village and vineyards. 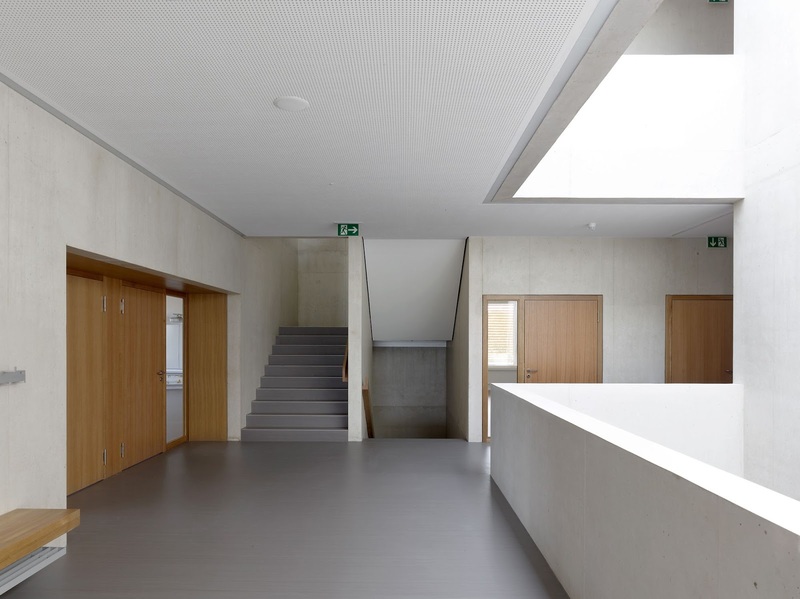 The vocation of the large central hall is to be open to the outside world, while identical flooring for the entire building gives the child and the visitor the impression of being everywhere at home. 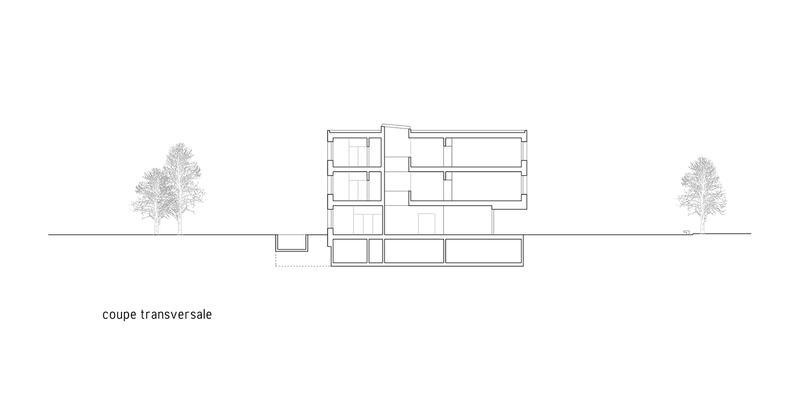 The college is presented as a simple rectangular volume. 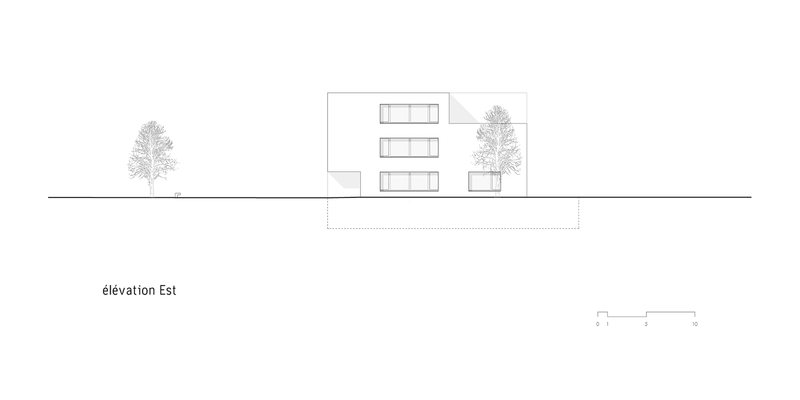 A subtle cutting game resulting from the presence of the cantilevered volumes reduces the visual impact of the building in its village setting. 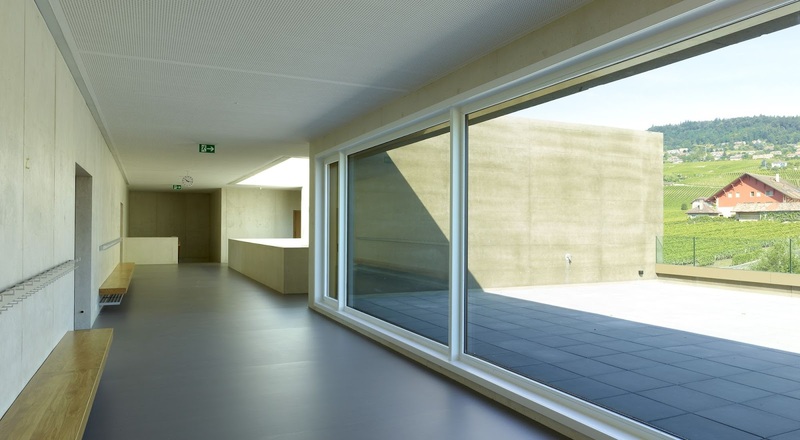 The façade composition is regulated by the presence of a single type of window, furthermore highlighting a desire of reduction. 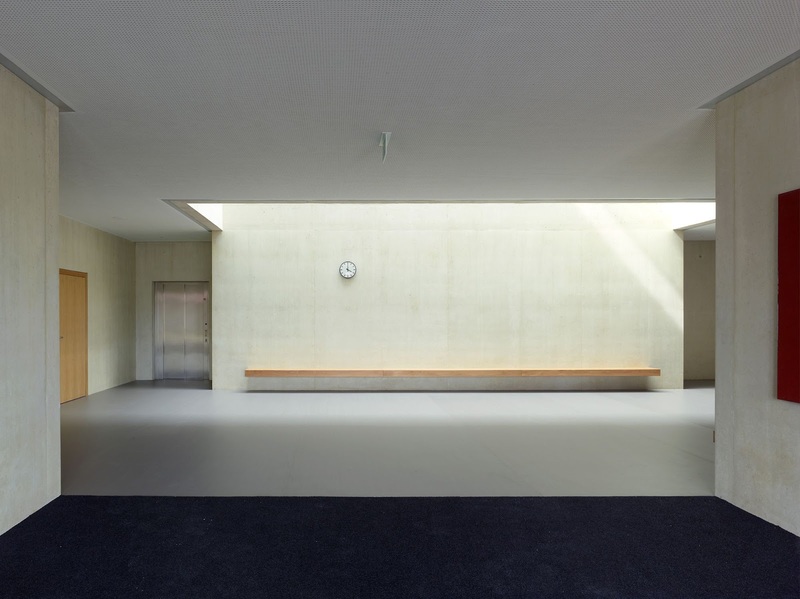 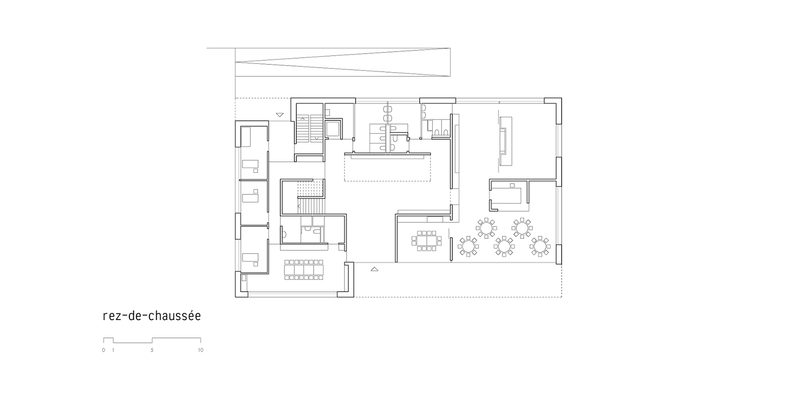 This reduction reminds that the space exists only when animated by children. 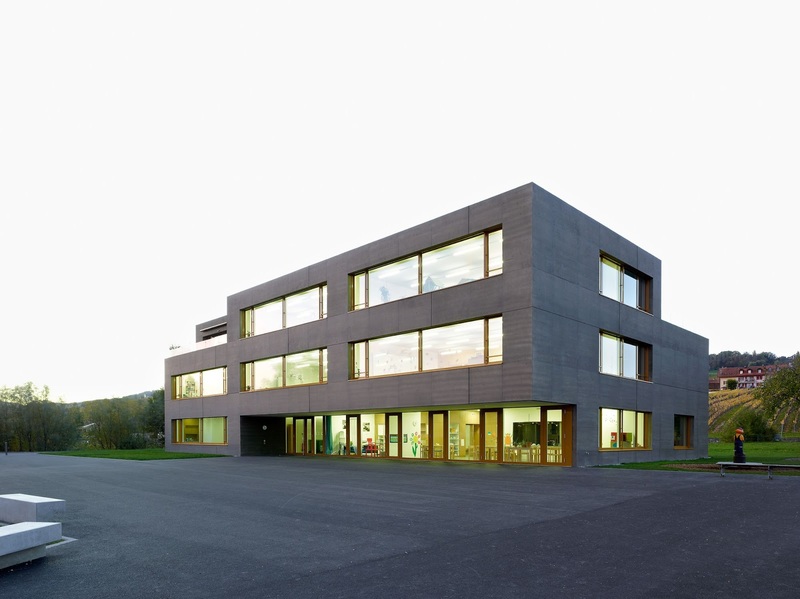 The building hosts 120 pupils. 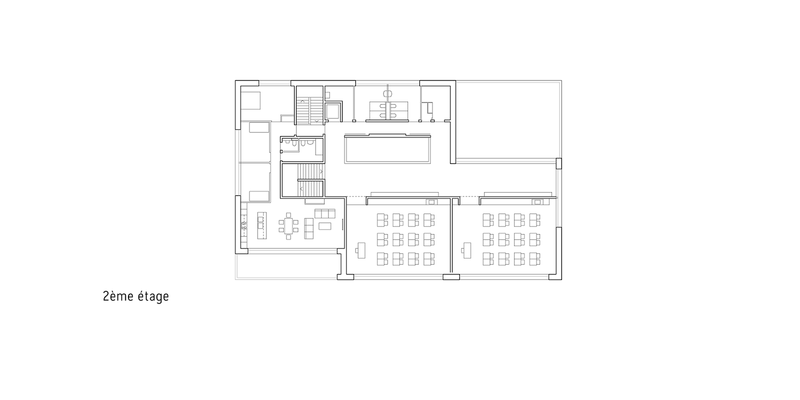 It has a small dining hall as well as a self-service, scaled to children's size. 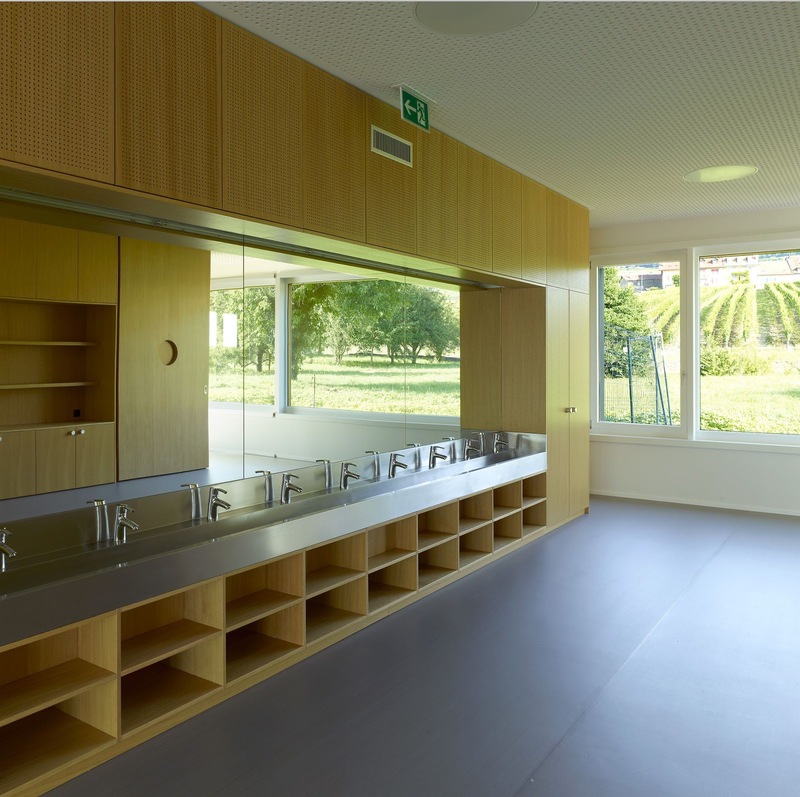 Infant classes have large terraces, opening on the nearby vineyard, which plays the role of a didactic escape, with a small vegetable garden and farmyard animals. 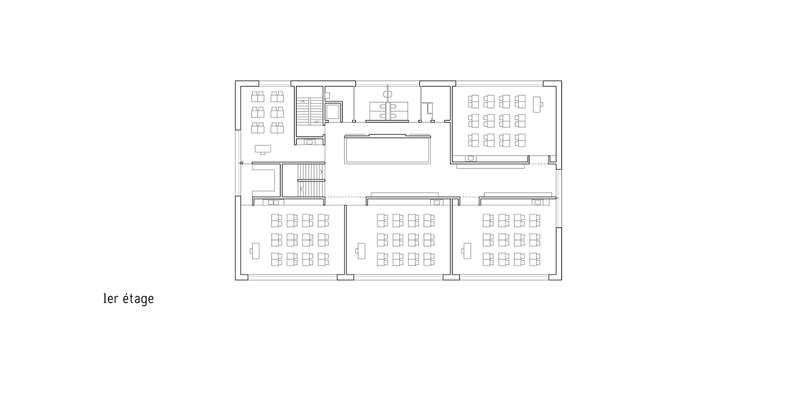 In the classrooms, the large windows generously provide natural light, while the atrium a skylight floods floors and building circulations. 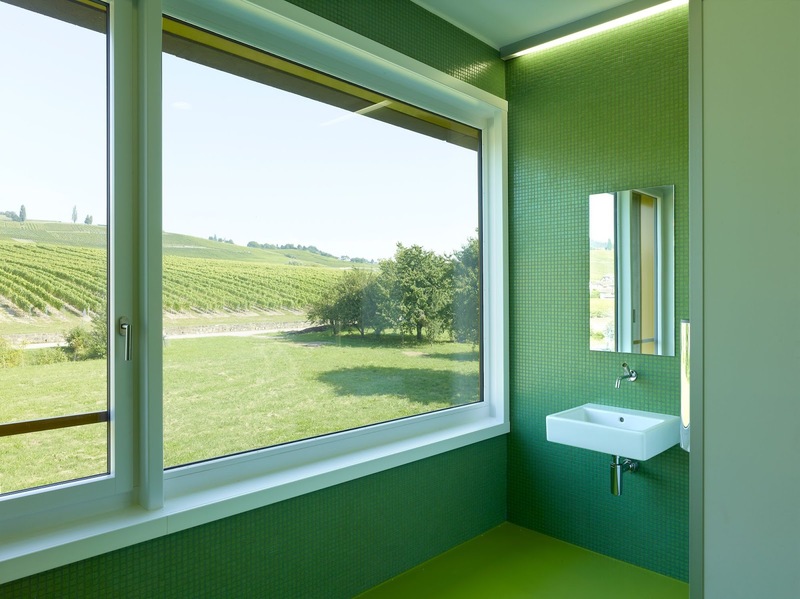 The panoramic windows allow the children to feel the presence of nature and live with the change of seasons. 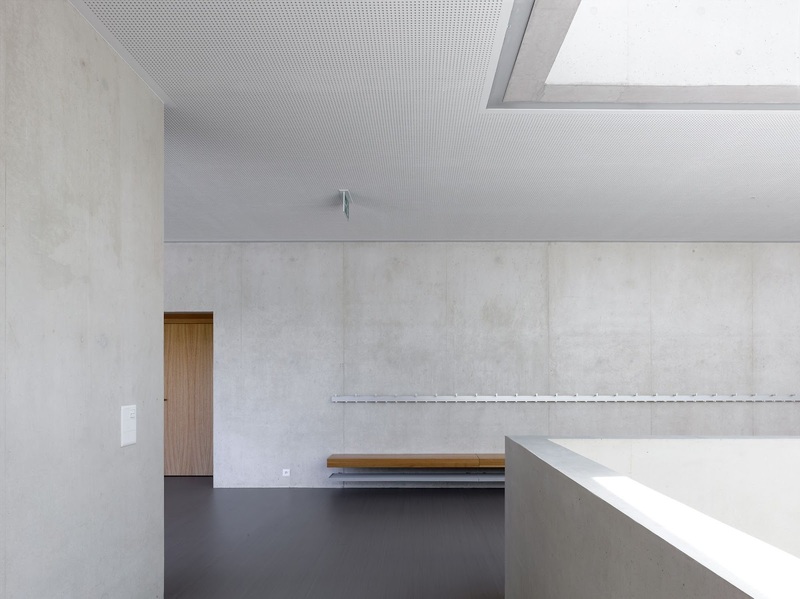 The atrium plays also the role of a reference point defined by light. 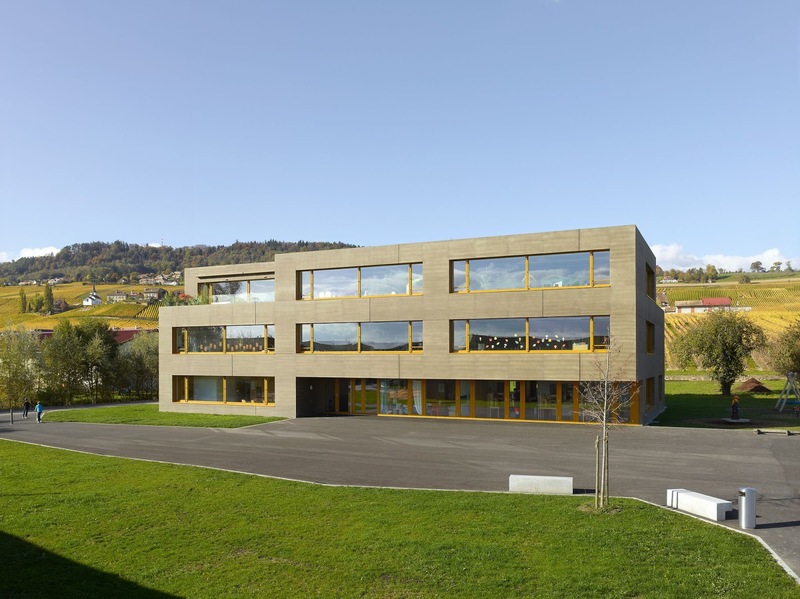 Another factor of integration in the landscape is the roof, planted and treated as a fifth façade. 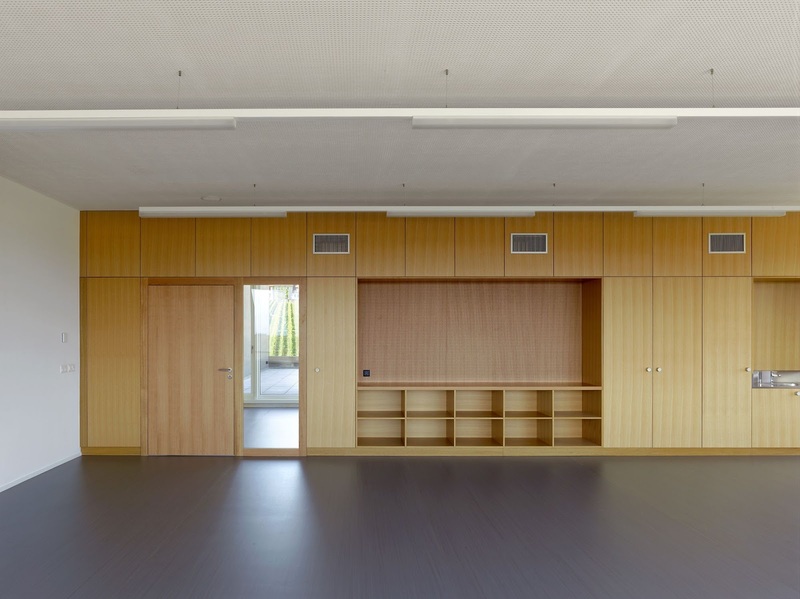 The classrooms are equipped with interactive and innovative whiteboards, perforated ceilings phonic for noise reduction; the perforated bulletin boards play a sound mitigation role, and the wall cabinets help absorb noise as well. 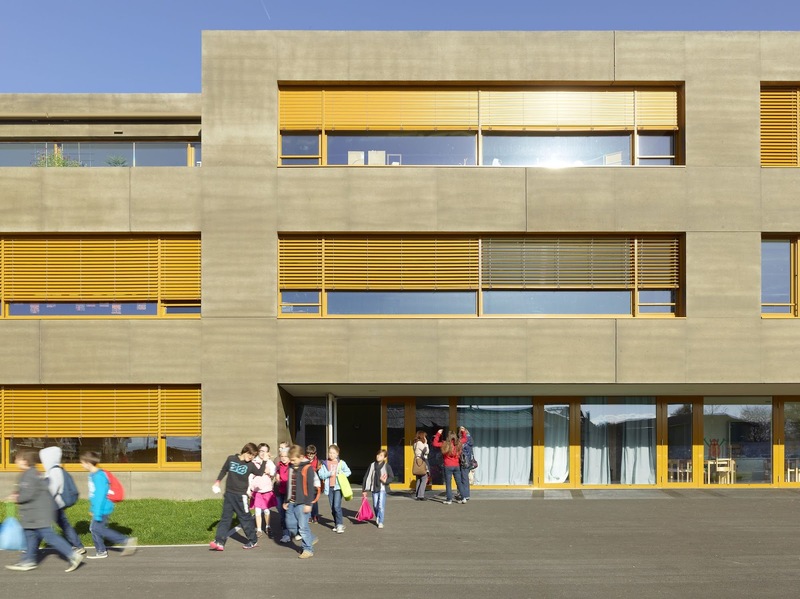 The brown color of the building is match the color of the vineyard soil, and the yellow windows echo the surrounding cultures. 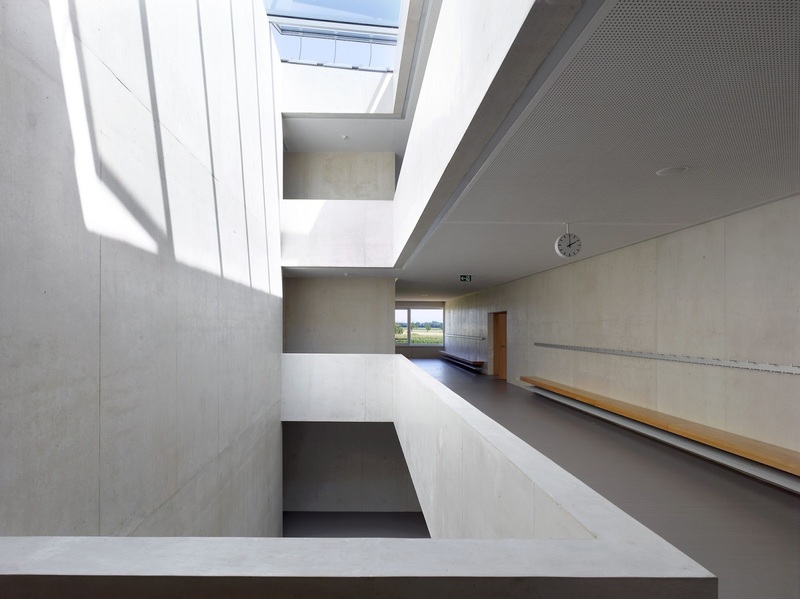 Inside, the walls are ready to receive children's graphic work adornments. 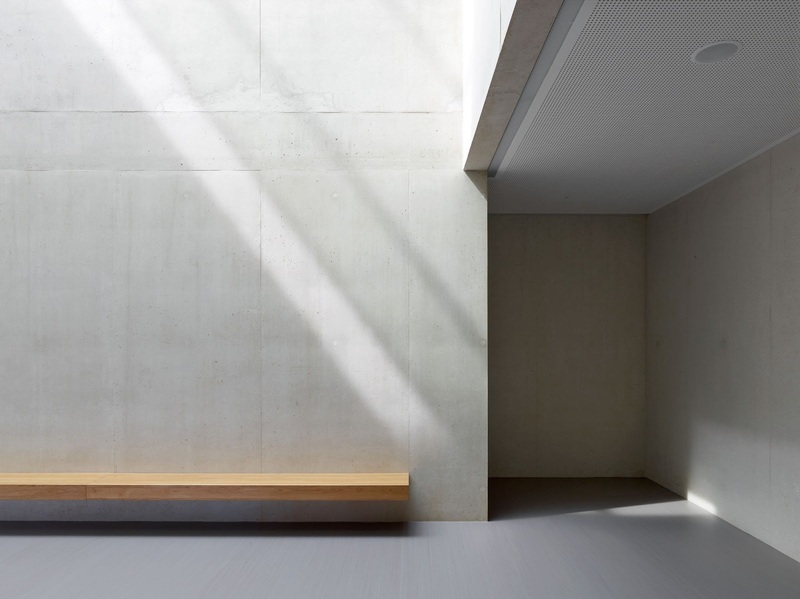 Exposed concrete is made of Bakelite formwork, allowing a smooth texture. 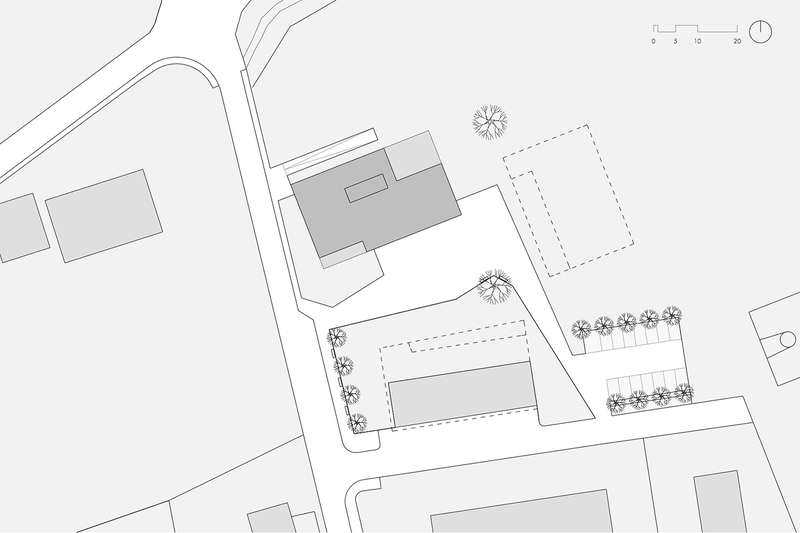 The playground communicates with other areas and there is no fence, so as to leave free access to children. 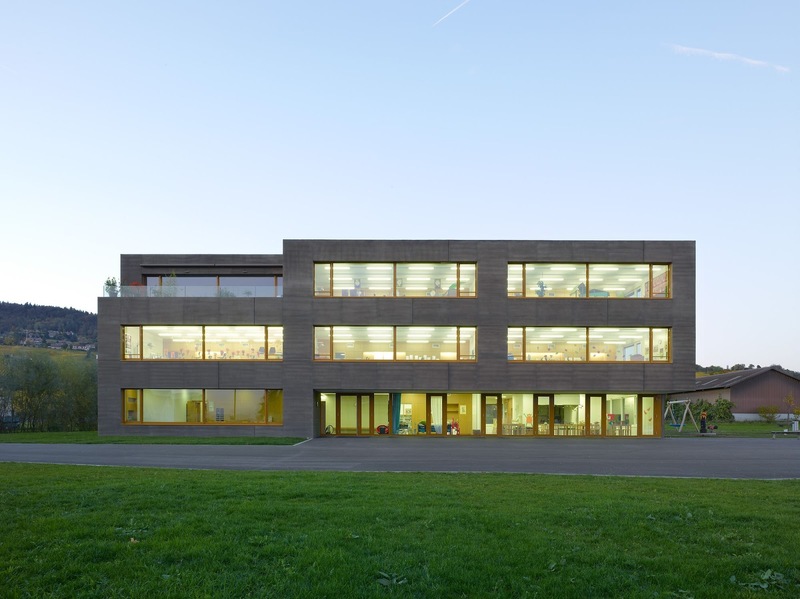 The clear separation with the parking contributes to safety and allows the children to take full possession of the spaces offered by the building.